The yearly dread of a week of matzo is shared by our cat. Last year we managed to find it specifically “kosher for passover” cat food. Like most kosher for passover grain-substitutes, the food was unsatisfactory and led the cat to be moody and unpleasant. While our cat cannot participate in the seder (it can’t hold a wine cup without thumbs), it does get the “pleasure” of a week without grain. The restriction chametz (leaved foods) for the week of Passover includes both eating and owning any chametz items. Thus, if one is so inclined, one may opt not to own cat foods that includes grain. This year I did a bit of research and turns out there are many regular cat foods that have no grain in them (other than special Kosher for Passover cat food) at all and are entirely appropriate for cat-passover (not quite sure who they are celebrating liberation from but fair enough). 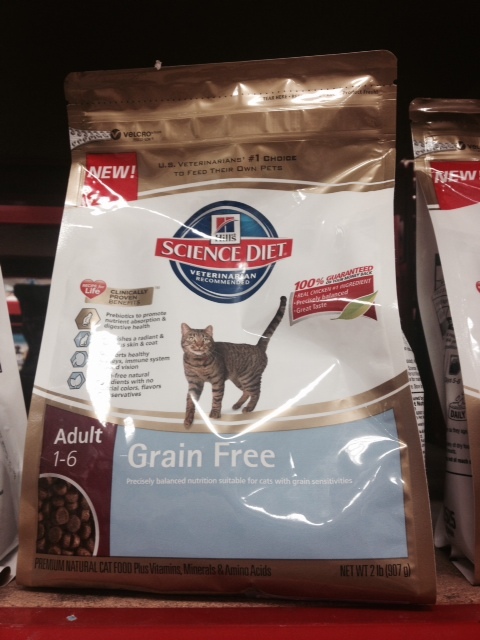 Many cats apparently have sensitivity to grains or have chosen gluten free diets to match their owners’ eating practices.